Summary: Next generation genetic sequencing of brain tissue samples allowed researchers to identify potential brain infections. The team says its study, described online June 13 in Neurology: Neuroimmunology & Neuroinflammation, demonstrates that using computers to rapidly analyze huge amounts of genetic and biological information could be a cost-effective addition to a pathology lab’s toolkit. More than 50 percent of inflammatory disorders and infections of the brain go undiagnosed, which can lead to treatments for individual symptoms that can do more harm than good. In the study, the researchers first identified 10 people at The Johns Hopkins Hospital — six males and four females between the ages of 16 and 68 — with clinical signs of a brain infection, such as fever and rapid onset of neurological symptoms, like weakness in limbs, partial paralysis numbness, headache or seizures. Each patient had a biopsy of a brain lesion — an area of inflamed, damaged tissue — first identified by MRI. Using commercially available genetic sequencing technologies that read millions of pieces of DNA at once, the researchers sequenced the DNA of the brain tissue for each person and compared the results to a database containing human and nonhuman DNA sequences, 2,817 bacterial genomes, 4,383 viral genomes and 26 single-cell pathogen genomes. After subtracting out the human DNA results, they ranked the top three other species found in each sample that were thought to be potential infectious organisms. In three patients, they said genetic sequencing definitively identified the cause of the infection as Mycobacterium tuberculosis, the bacterium that causes tuberculosis and sometimes infects the brain; JC virus, which is found in most people but is only typically infectious in people with weakened immune systems; or Epstein-Barr virus, a herpes virus most commonly known to cause mononucleosis in humans. “Identifying organisms involved in brain infections is critical for establishing adequate treatments and, in the case of tuberculosis or viral infections, is a major challenge in clinical practice,” says Pardo-Villamizar. The researchers report that genetic sequencing also revealed possible but unspecified infections in two other patients. In one patient, the researchers identified several bacteria species in the biopsy related to Delftia acidovorans, a rare, rod-shaped bacillus that physicians treated with antibiotics. In the other patient, they identified a relatively high number of sequences from Lactococcus, a normally noninfectious bacterium. However, they reanalyzed the sequence data a year later and found the sequences matched up to a newly emerging pathogen, Elizabethkingia — a genome that was unavailable during the original analysis. The bacterium, found in soil, has been linked mostly to newborn meningitis or inflammation of the membrane covering the brain. “One of the limitations of using this kind of diagnostic tool is that we can only identify the pathogens for which we have the genetic sequences available,” says Steven Salzberg, Ph.D., a Bloomberg Distinguished Professor, a professor of biomedical engineering at Johns Hopkins and co-author of the study. “As we continue to sequence the genomes of more organisms, the tool will become steadily more powerful.” The cost for genetic sequencing using the latest technology is less than $500 per sample and takes a couple of days. The comparison of the DNA results to other species takes less than two hours. After subtracting out the human DNA results, they ranked the top three other species found in each sample that were thought to be potential infectious organisms. NeuroscienceNews.com image is for illustrative purposes only. To bring this type of testing into widespread laboratory use, Pardo-Villamizar says more research is needed to establish a baseline of what organisms may be found in normal, healthy brains. They’ll also need a larger validation study of patients with an already established diagnosis to determine the rate of false positive or false negative results. The 2013 Global Burden of Disease Study estimates that 77,000 people die each year around the world due to brain inflammatory conditions. About 2,000 a year are due to active infections in the U.S. Once the cause is determined, people can be treated with antivirals or antibiotics if an infection is suspected, or steroids if the cause is thought to be autoimmune. Other authors on the study include Florian Breitwieser, Anupama Kumar, Haiping Hao, Peter Burger, Fausto Rodriguez, Michael Lim, Alfredo Quiñones-Hinojosa, Gary Gallia, Jeffrey Tornheim, Michael Melia and Cynthia Sears of the Johns Hopkins University School of Medicine. Funding: Study funds were provided by grants from National Human Genome Research Institute (grant number R01 HG006677), the U.S. Army Research Office (grant number W911NF-14-1-0490) and the Bart McLean Fund for Neuroimmunology Research-Johns Hopkins Project Restore. Johns Hopkins Medicine. “DNA Sequencing Could Help Diagnose Brain Infections.” NeuroscienceNews. NeuroscienceNews, 21 June 2016. Johns Hopkins Medicine. 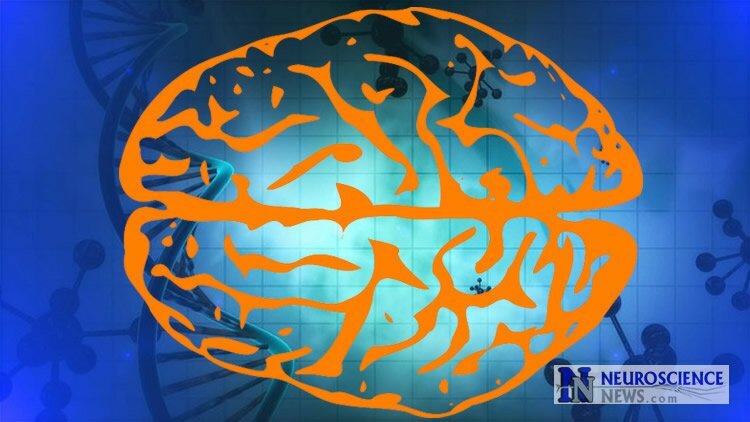 “DNA Sequencing Could Help Diagnose Brain Infections.” http://neurosciencenews.com/dna-brain-infections-4533/ (accessed June 21, 2016).